The Network of Academic Business Incubators invites students and young scientists to take part in the Business Education Program YEP! Starter. Yep! 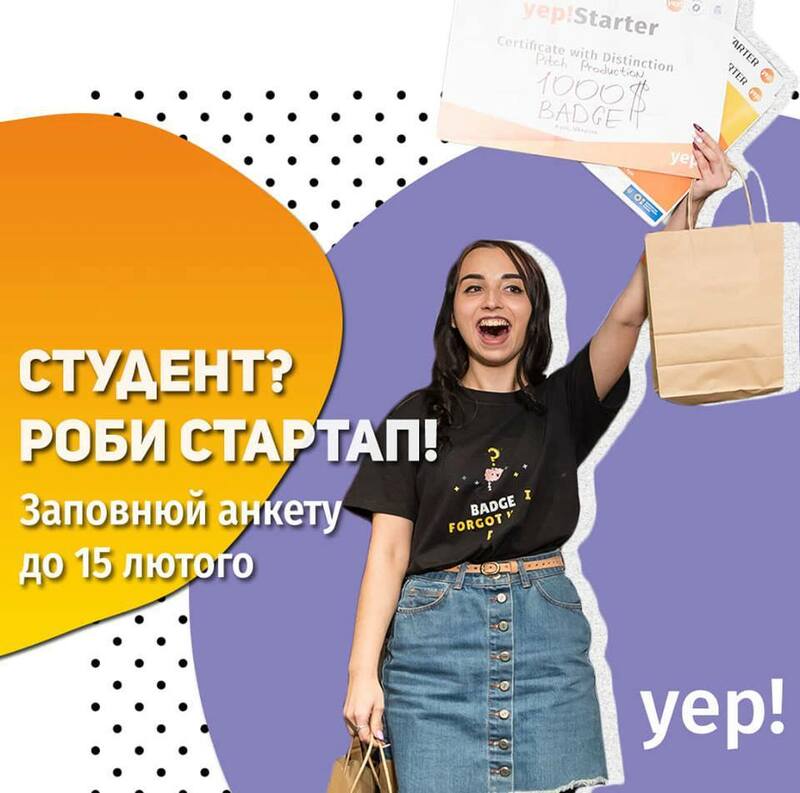 Starter is a Ukrainian-Estonian entrepreneurship program, whose members create their own startup with the help of mentors in three months! Last year YEP! graduates successfully launched their projects and win various contests, receiving investments. YEP Students! have created their own brands and already have their first clients, such as Vika from BGTopi (http://bgtopi.com/), Igor from Giftbot Games (https://gifthub.world/) or Andrew with FriendlyFoodBot (m.me/FriendlyFoodBot). What will you get at YEP! Starter? Do not leave the idea in your head. Join us. Fill in the application form by February 15th: bit.ly/YEP!